When game-based learning and high-level thinking come together, what emerges are highly engaged students, meaningful discussions, and relevant learning. SMART lab activities are a favorite of students (and teachers!). Who doesn’t want to have game time in school? While it is exciting to see students having fun and using games to reinforce their learning, as educators it is our job to ensure that students’ learning experiences are tied to both standards and higher order thinking skills. However, often games are used to reinforce skills and basic recall. Looking through the lens of Bloom's Taxonomy, the activities available in SMART lab have many benefits and can support your learners in a wide variety of ways. You can create all of the activities below within SMART Notebook; if you curious about how to create these activities yourself, check out our online SMART lab training course here. Shout it A fun and easy way to collect ideas, information, and content from your students. Submissions can be assigned or remain anonymous. Remembering: Students can brainstorm, share out a variety of lists based on the content being studied, and share personal connections. Students are able to shout out images or text, making Shout It Out a versatile tool for the classroom. Remembering + Analyzing: Once students shout out content, they can now analyze the content and sort it into a variety of categories. Teachers can draw a Venn Diagram (or another Graphic Organizer) on top of the Shout It Out and students can move and sort the content into the correct areas. Understanding + Creating: Shout it Out allows students to create and share their own content as well. Teachers can ask students to write a Haiku that synthesizes their understanding of a topic, or ask students to summarize their understanding in 6 words. Students are also able to share images of work that they have created, allowing the teachers to collect and showcase student work quickly. Shout It Out allows the teacher and students to compare and discuss each other's ideas. Example: Students walk the school and take pictures of a variety of triangles and share them using Shout It Out (remembering). Students and teacher come back together in class and look at the various triangles found (analyze). Students sort the triangles into different categories and write rules for each group (applying). Your class can then 'shout out' a six-word summary defining one type of triangle (creating). This activity allows students to organize a series of things in a certain order. Remembering: Sort a series of words alphabetically, or numbers from largest to smallest or smallest to largest. Students can sort the order of the planets, events in a story, or battles in a war. The possibilities are endless. Remembering + Applying: Students organize a series of equations from largest to smallest. Students will have to solve the equations before putting them in order. Understanding + Evaluating: Students sort a series of traits as most important to least important or most influential to least influential and then defend their reasoning. As this is the opinion of each student, there are no right or wrong answers; instead, this will jumpstart a good debate in class. Example: Student sort a list of events, from first to last, that led to World War II (remembering). Students sort those same events, but as the most impactful in influencing the war to least impactful (evaluating). Again, these will be the opinion of the student, so no correct answers, however students need to back up their assertions with evidence. A way to sort information into two categories. Remembering + Analyzing: Super Sort is a fun way for students to practice organizing information into categories. It is a great for reinforcing concepts taught. Students can sort adjectives and adverbs, prime and composite numbers, examples of physical versus chemical changes, the ideas are limitless. Understanding + Analyzing + Evaluating: Teachers can leave the category names off, forcing students to have to analyze the content and decide how they might be sorted. They will have to look for patterns and differences. Example: Students study a series of numbers and consider how they might be similar or different (analyzing). Students will test to see if the content fits the categories they chose (applying). The teacher can have the students do a 'think, pair, share' to discuss the categories each student created (understanding). Look for patterns between responses and test by sorting the content (analyzing). Students can defend why their categories work (evaluating). A fun way to find pairs that go together. Remembering: Students can match any number of things: synonyms or antonyms to help expand vocabulary and improve writing, math problems to solutions, or new terminology to images. Understanding + Analyzing: Teachers can create a matching game to help students understand cause and effect relationships. Understanding + Analyzing + Applying: Teachers can create games where clues are given and students have to match the clues to the correct answer, this pushes student thinking to new heights. Example: Create a game with math equations, but have clues as the match rather than the solution. 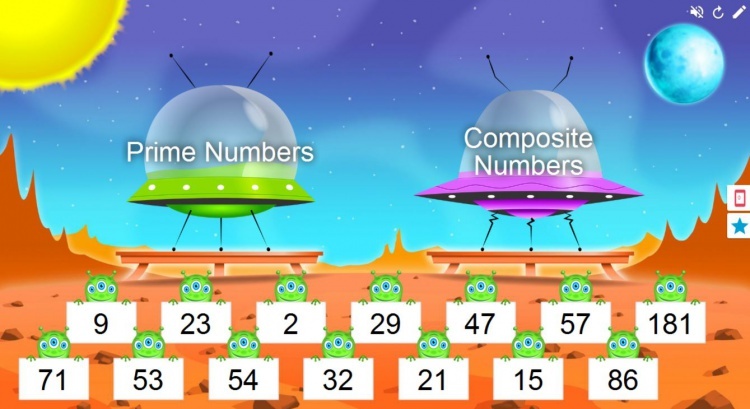 This will help learners remember their math facts and apply their maths skills to find the matches. Each of these activities can be leveled up by thinking carefully about what types of questions are being asked. Instead of asking the question 4(3+6), give 'Triple 12' as the question and give 4 equations as the answers. Students have to solve each equation to see which is equal to Triple 12. As educators, we spend a lot of time on the art of asking good questions. We want to design questions that make it difficult to find the answer with a simple Google search. Gamification brings an added fun element to the classroom and naturally engages our students. I hope that you are inspired to use SMART lab activities to build a classroom environment that encourages both fun AND high-level thinking! Click here to download a Notebook file with great examples of ways to level up your SMART lab activities, and check out this infographic about building 21st-centruy skills with game-based learning. This post was written buy Kacie Germadnik. Kacie has been in education for nineteen years. She spent the first 10 years of her career teaching First Grade in the General Education classroom. The last nine years Kacie worked as a Gifted and Talented teacher for a Kindergarten-Fifth grade pull out program. In addition to working with students, Kacie was the Technology Coordinator for her campus, allowing her to work with teachers on utilizing best teaching practices while leveraging the power of technology in the classroom.